I am a prisoner of war and I live in a virtual prison. I am writing this to Sheriff of Curry County, John Ward. 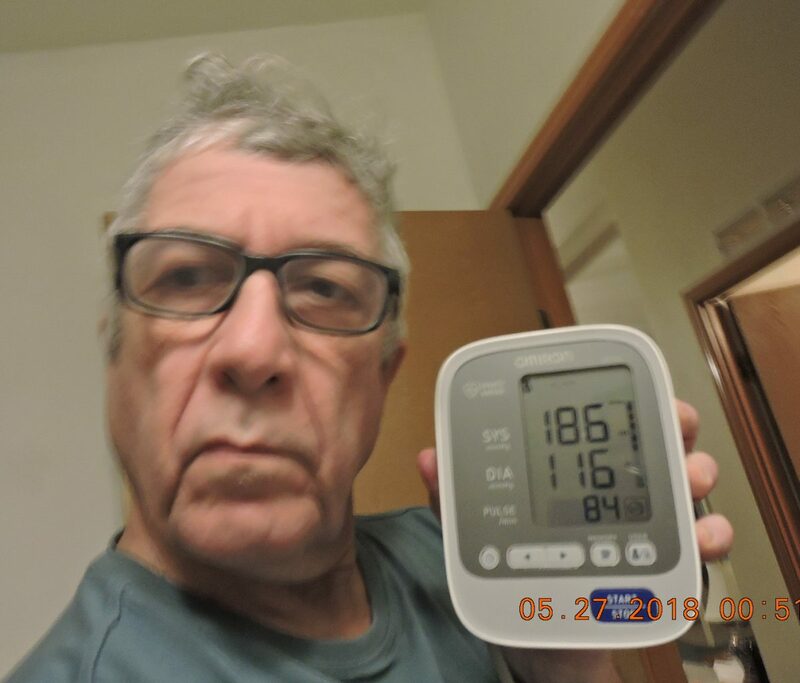 I took my blood pressure to show that it is being manipulated by the mercenary. Now the blood pressure is 186 over 116 and the heart rate is 84 beats per minute RESTING, therefore my heart rate is being ramped up by the MERC. This can be done to me because this merc is resonating the beam against the arteries in my neck which cause them to be inflamed and to swell causing restriction of blood flow which causes elevated pressure and a rise in heart rate. Also there is a beam in my brain which causes swelling and inflammation of my brain. Remember Sheriff Ward, that LAVOY FINICUM was gunned down in BURNS OREGON by FBI contractors (MERCENARIES). These mercenaries have no care of hurting and killing people, because the powers that be are ruthless killers. This picture says I am being tortured to death by contractors and minions. It is obvious to anyone who reads this. As a citizen of the United States of America, The police and Sheriff should be assisting us because Donna and I are being hurt by weaponized morons (MERCS). Yet you are standing down sheriff. Wasnt it the same way for the Parkland School in Florida where the three Deputy Sheriffs stood down outside the school during the Parkland shooting!? One of the deputies spoke about it being a false flag and he is now dead. You see, ALL of these shootings are false flag operations. The powers that be want the participants in their False Flag events to keep their mouths shut, because they are trying to perpetrate a fraud on the American People, that being to take away their guns. As a Blogger and activist, I am speaking out and you can see that I am being murdered for that as well. I wonder how the sheriff can square this with the people. Since he and he alone will have to answer for his and his departments actions in the face of a take over of America. The powers that be do want our guns dont they Sheriff Ward? Also, they do not want the truth to come out until after the take over. We asked to speak to you and you did not answer us. sh and jc yelled vulgar insults at Donna and I in front of our house and yet no deputy talked to them about it. Both Donna and I cried out in pain due to being struck in the night with Directed Energy Weapons which are sourced next door. There have been numerous transient people coming to live on land across the road, who may be contractors. You could have asked if they are contractors and dissuaded them from hurting us. I have an associate degree in Electronics Engineering Technology and another Associate degree in Biology and I know what I am talking about. This tactic of yelling to the perpetrators to stop hurting us was having some good effect, in that the perpetrators were afraid. Yet Deputy King came to tell us to be quiet, in effect telling us to die quietly. Are you people working with the perpetrators? Deputy Garrett Shannon told me he would give me a citation if I drove across my driveway. Didnt the deputy Pre-ajudicate the case for my driveway. Isnt that the job of a judge? He said I had to take it to court. I must remind you that my attorney said there were cases which favored people in my position. May I remind you that the driveway had been there for over 10 years which means there is an easement. The residents of this house had access to the land via the driveway and it is not easy to terminate an easement. .
As I write this letter, I have an extremely painful beam drilling into the top of my head and that is torture murder. I believe the Dept. of Justice gave Law Enforcement, information about and use of Directed Energy Weapons. Surely the State Police have this. We have done nothing wrong. We are not criminals. I am a blogger and an activist. It would be constitutional to help us. I hear now that they are saying that you dont have to help anyone if you dont want to. Well why do we need law enforcement if you cant help us?? Why dont we the people, fire all of you and then hire back the ones who want to work? I am an activist and a writer. That means that I am a journalist. I thought I heard that you are a constitutional sheriff? This is definitely not constitutional to TORTURE AND KILL JOURNALISTS AND ACTIVISTS? There is a reason why he is saying this. Think! He is saying that we need to be prepared as a group. We are not because of the Government weaponizing neighbors. These people are prepared for killing neighbors but not for surviving a disaster. This is the way they want it. The government wants you all to die. Why are they saying that I am a terrorist because it doesn’t make any sense. But what does make sense to me is that people will remotely connect to the network of directed energy weapons in this and many other neighborhoods to surveillance the other neighbors to find out what they are saying. This way they find the ones they want to go to FEMA camp. It isnt just me, it is 90% of all of you. THINK! isn’t this DEW network with drones put in like a TROJAN HORSE. They supposedly have to WATCH ME, but isn’t that naive. Dont they really want to surveille the other neighbors too? YES! Remember NSA motto “COLLECT IT ALL”. They are collecting all the phone conversations and emails so why not surveille the neighbors in each neighborhood, since they can (YES THEY DO). It is a TROJAN HORSE surveillance network. This video features Dane Wigington who will tell you what is happening with the environment now He is talking about BIOEMPLOSION AND BIOSPHERE COLLAPSE. YOU NEED TO LISTEN TO THIS..
“Its the neighbors, always the neighbors as Dr. Rauni Kilde said and it is true”. The neighbors get dollar signs in their eyes and cant manage to do the right thing. This is true even thought what they are doing is killing the neighbors and it is a capital offence. Yet, sociopaths told them it was okay to torture and kill the neighbors and that is good enough for them. Law enforcement has relatives in the house across the street. 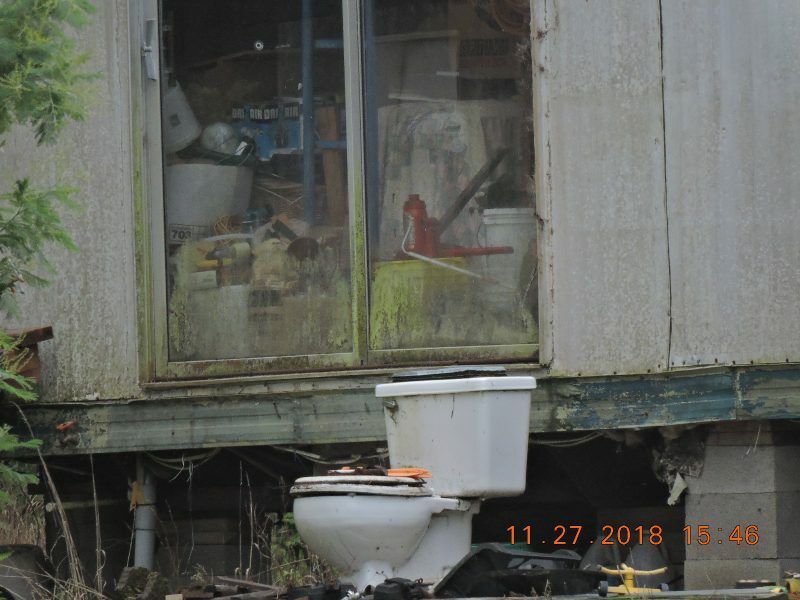 New people are coming to stay on that property with trailers. Are they coming to work on contracts to brutalize Donna and me? Would the Sheriff of Curry County and Chief of police of Port Orford Oregon, allow sworn deputies and police officers to ignore their relatives abuse by allowing the torture and brutalization on the neighbors to happen? It is not a job for an order follower to do anything which injures or endangers the life of anyone! The constitution of the United States of America says that any law which goes against the constitution is VOID. Realize that it was not against the law for HITLER to do what he did. We know about all of it now and there wont be any paperclip cover up for this. We hire Law Enforcement to assist people in trouble and not make to stand down when people are in trouble. Do you know what the TRAUMA and Torture is about? It is to make us compliant so that we cannot resist the Torturers and we will be more compliant. Also, the pain of torture causes our neurons to light up so that the researchers experimenting on us can verify where in the brain pain signals are going basically. Law enforcement needs to make sure of what they are doing. People are watching you all and there will be war crime trials after this is over. From where I sit, people around Donna and I are shooting us with Directed Energy weapons and we have called the police multiple times to help us because of horrendous torture and abuse. My neighbors sh and jc stood outside my house and shouted obscenities at me from right outside. I called and was told that even though the just left, the incident had to happen at the time of the call. I made the mistake of calling on the non emergency line and that wont happen again. Is the Curry county Sheriff on Donnas and my side? We are elderly and not hurting anyone.. Why did a deputy suggest to Donna in my absence that she move away and change her name? REALLY?? Is it all our imagination and are we delusional? I think most definitely not You all should know damn well that this is really happening to people. It is not a conspiracy theory. It is a conspiracy FACT! I know it and you all should know it too. Donna and I are being tortured severely and we are dying. This abuse is not going unnoticed by good people are watching and investigating NOW!. This is TORTURE/MURDER folks and it is a capital offence and there will be criminal trials after this is over. I hope you dont wish this would continue because a totalitarian police state is well on its way to forming and it would be Law Enforcement who stood by and allowed it happen for children everywhere. Ignoring the constitution is the cause. Needed now are people with balls to stand up to weaponized morons, intent to kill people for the corporations that hired them. I have college degrees in Biology and Electronics engineering Technology which allow me to make these observations. This whole thing is a rich mans trick, allowing and encouraging a Totalitarian police state to form. Dont allow yourselves to be continue to be fooled after discovering what is needed to correct this mess. also, I am watching Guy McPhersons talk on the end of the human species coming in the next 10 years. This may be why the the Geoengineering is happening.. The theory is that maybe the Military knows that bioimplosion is inevitable and so they wilil do what they are doing untio the last minute. 3:03am. I am being attacked now by more than one beam in my stomach. I can tell there is more than one beam because I can’t block it and I have a directional meter. The beam’enter my abdomen and I suppose resonate with my stomach. Then a second beam the same way. Thi s is a good example of why I call the people who do this, dumb or stupid or MORONS, because who else but a stupid moron would do such a thing or think about such a thing. Now here is the question people want to know. Why would anyone want to do such a thing? The only thing I can think of is: they are going to put me in a pain lock for punishment or take down. I’m just guessing. Only a moron could take a job like this seriously. We need some serious moron mop up crews. At 3am they do this now. Now the pain is about 7 of 10. I was thinking to myself today, they are calling this surveillance. But it is not surveillance. It is more like a prisoner subduction with radar. But it is cruel and stupid. It isn’t stupid though if it has the capability of measuring the respiration and heart rate plus nerve impulse monitoring. YES, this has extensive capabilities. But the subduction it is very cruel. These moron are so cruel , I am getting.more pain induce which gives me a clue that this moron can see what I am typing. In fact these moron can see what I see. So, now I don’t know what is happening, so I will guess it’s a drill. Now that would be stupid and the increase in pain tells me I am right. It’s probably a swat electronic drill. I am thinking that if I went out, these idiots could put me on the ground in severe pain . I kno,, you might think how could I know. But these are MORONS and they are quite easy to read when they are in their hunting pack mode. I believe I am right! 3:58pm Every day My handler is using a beam to touch my face and elsewhere. I have come to now believe this based on evidense from other TI’s and what I have been able to find out about directed energy. TI’s are calling it fantom touch and I have had it demonstrated to me on numerous occasions. Sometimes it tickles my face. Is this the kind of thing we as a nation need to hire the sociopaths to do. You are paying for this. Additionally My tendons are being hurt, for instance tendons in my hand are being hurt with and energy beam heating up one of the tendons i am using and the expanded, due to swelling spot must go through a tunnel as in carpal tunnel where nerves and tendons are routed through. The handler in causing the tendon to swell, is causing it to be to large in diameter to fit through the tunnel at that spot. I can hear the click as it is forced through. that click , I believe causes damae to the tendon and nerves going through the carpal in the wrist and the tarsal tunnel in the foot. This person must be focusing a beam on my tendon so that the tendon is swelled at the poiint where it goes through the tunnel. The medical industrial complex must be paying sociopaths to do this to many thousands of people. This was done to me for at least 7 years now. The reason could be to verify how these injuries happens to people. If you dont want to believe or read about this, then stop reading.. But I do have a degree in Biology and I am qualified to interpret biological processes which are happening to me in real time. This is no joke that this is happening to me remotely. If you want to think it is unbelievable and crazy then go away. I wish to write for people who are curious about what is happening around them. The induced itching and tendon injuries and nerve damage near muscel intersections has been done to me for many years, even before I began being followed by sociopaths with radar. Or maybe I was being followed in this way, silently and clandestinely. That is without me realizing that I was being followed or hurt remotely. Think about that for a minute. Are you being followed silently and clandestinely?? By sociiopaths I mean, with psychotronic weapons. Now I am aware of things that happened when I was during childhood, which explain things better for me. I had my tonsils out when I was 4 years old. I had to go into the hospital over night to have my tonsils out. My parents did not explain to me why I had to stay over night in a hospital. The 1950’s was MKULTRA timea and many parents were offered money by intel agency sociopaths, not realizing and probably trusting that nothing would happen. But damage was done to tens of thousands of people like that. This was when directed energy was blooming as a new source of trauma. In addition, I was told by a doctor who is a TI, that directed energy causes excess histamines to flow, which accounts for the excessive itching I am experiencing around my face, groin and elsewhere. The sociopaths cant get enought of this touching with DEWS. It seems like they are living their lives though me since they are doing this all day and all night, every day. These sociopaths are wasting their lives doing this. Also, these morons are hitting my face with sonic energy which i can feel. Yes, and they are causing infections like cellulitis or boils to be literally drilled into my skin on my face and the back of my neck which i think is a target because it feels awful. These morons can actually see what I am writhing and are trying desperately to stop me. But I think I will continue because people need to know about this abuse I am going through and possibly is being done to millions of people. I think they hae this technology to the point where this radar can track people and injur them automatically as they go through their day. 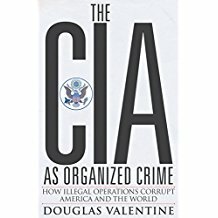 I believe this is desirable for intel agencies because in the case of the CIA, it is apparent that their true allegiance is to the rich and the corporporations. They have corporate clients and wheat they are doing with this biomedical experimentation is to change peoples health and statistically change/modify how long people live.. I am talking about modifying the actuarial tables so that they can cheat to make money by bumping people off or allowing them to live longer. The trend is to bump people off when they are done working so that everything is taken from them and they die when their usefulness is finished. The contractor next door is helping with this and I am sure you can see why. Corporations tell dumb people I am their property like a slave. I am feeling dizzy and I recognize this dizziness as induce in me by my handler. It has to do with beaming my inner ear and upsetting my balance. This can last for an hour or all day. This happens often and sometimes I am made to throw up. hack to prevent booting to safe mode. Someone must have asked this handler to keep me from wtriting in my notes. I have talked about the apparent feelings I get and I am not sure what else, when my handler is worried or puzzled. I get a definite feeling and I dont know what else from the handler. All day I have been radiated with at least three radiation sources. I feel intense radiation to my feet and legs. Also there is ELF energy to my brain. The count of three sources i got from my meter which shows at least three sources. 3:52pm I am vibrating all over. 1:03pm handler is controling me to slow me down and making the nape of my neck itch and hurt. also causing my face and head itch using a light touch with a needle like beam. Torture is not Surveillance. TORTURE IS TORTURE!! This as my head CRACKs and SNAPS due to entrainment which is like a CLAW grip to my brain from the top of my had. This is never OKay since it is TORTURE. The handlers call it surveillance but it is not, It is torture! I scratch my left cheek again. 3:47pm My handler/torturer is disintegrating my brain I recognize as extreme brain fog. This happens in one degree or another every night and every day … Did I do something the handler doesnt like? who knows because I dont let it concern me.. But I was working on my Rogue credit union banking. I was on track with it and finishing it up and now all of a sudden the extreme brain fog hits and I cant remember where I was. Does this happen to you? There are many debilitations which these handlers put upon our physically or cognitively. I need to write out a list of symptoms which are experienced by people. In the past I have experiencd many, but here is an example. We experience FIBROMYALGIA symptoms in muscles left shoulder and neck. This is felt as dull to sharp and intense stabbing pain. I can shield the painful spot with a magnetic strip and then the pain stops immediately. This shows me the pain is a beam coming from an external source. We experience pains in my basal thumb joints. The pains are sharp, as though my joint is stopped in motion and violently jerked to a stop. This is experienced by me from 2007 to now. But I have only been targeted since 2010. I had my thumb joints surgically replaced in 2009 and 2011. When my thumb joints hurt now, I do not force them to move in an inflamed state. I wait for the pain to stop now. This allows m thumbs to remain functional. If I continued to work with my hands when the basal thumb joints are inflamed. The interesting thing is that I can shield my thumb joints with magnet material and the pain stops immediately. I get sharp pains in the joints of my feet, similar to my hands. I am giving these examples to show that if the pains are coming from energy, then I could stop or block it and you would have a new something to think about. The energy seems to be ELF or extremely Low Frequency radiation. I am saying this because people who get strange pains in their body and those pains cannot be blocked cannot be blocked, then it is a real injury or affliction. Do you see my point, it is either go or nogo and there are pains which cannot be explained normally. You need to try what I am talking about if you have. 1:42 torture is now practiced in 90% of all countries and all regions of the world., big and small, dictatorships and democracy. 12:49PM The torturer has been disintigrating my brain and thought processes all day. I have discovered that statists are team players. They love to win at any cost. Statists will kill you so their team can win. it turns into a game and so does the killing. Humanity is discarded in favor of winning. they become ghoulish. The California fires from Santa Rosa down to Ventura county were fires set by Directed Energy Weapons. You can see that is true by looking at this complete damage where everything in the house was incinerated, including glass, stoves, toilets, bath tubs which would normally not burn. Yet, in most cases the trees were not damaged. This was not a forest fire.